Thank you. 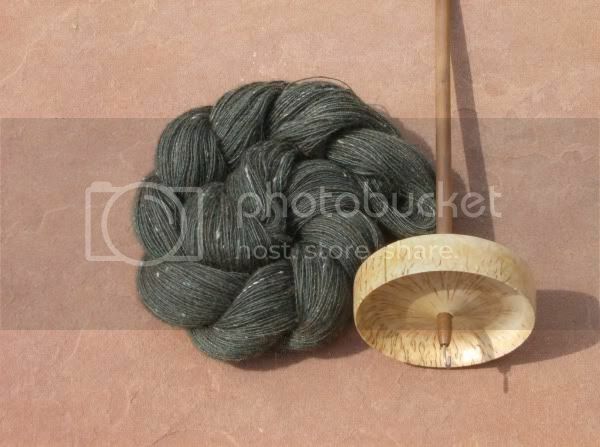 I was trying to be a bit artistic and get a nice shot of this skein & spindle. 1 ounce down, 3.5 ounces to go. It's going to take me the bulk of the year to get all this yarn done, mostly becuase I don't enjoy drop spinning nearly as much as wheel spinning. Yep the shot itself is very cool. I especially like the shadow made by the spindle. Can't believe that's just one ounce, looks like a lot more! It's too bad it's such tedious work, but hey the results are gorgeous.